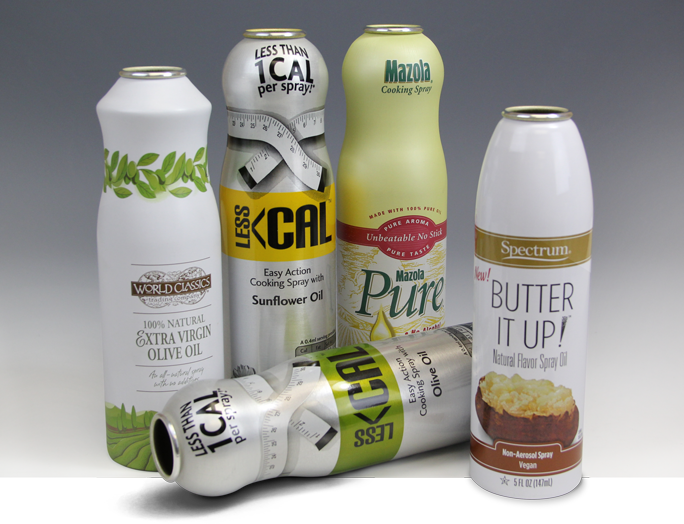 From cheese spreads and cream cheese to cake icing and pan sprays, and from cooking sprays to food preservative sprays, CCL Container’s aluminum packaging has been used to successfully launch a large number of niche food brands. A wide variety of products have been developed and launched with CCL Container aluminum packaging, utilizing the Advanced Barrier System® (ABS). The ABS bag-in-can system separates the product from the pressurizing agent with a hermetically sealed, multi-layered laminated pouch. The pouch maintains total formulation integrity and only pure product is dispensed. It also maintains total product integrity and freshness and extends shelf life. Aluminum containers with the ABS system conform to FDA requirements for most food products. The CCL Container piston barrier system package is an efficient high-viscosity dispensing system that is ideal for a wide variety of applications. The piston assures separation of the product from the propellant, maintaining the purity and integrity of the formulation throughout the life span of consumer use. As an added feature, the system also provides a controlled and uniform product discharge rate with minimal product retention. Other Piston Barrier System advantages include a precision-engineered gassing hole to improve sealing during gassing and plugging operations. Because of our package’s seamless construction propellant bypass tendency, a problem commonly experienced with other types of metal containers is eliminated.